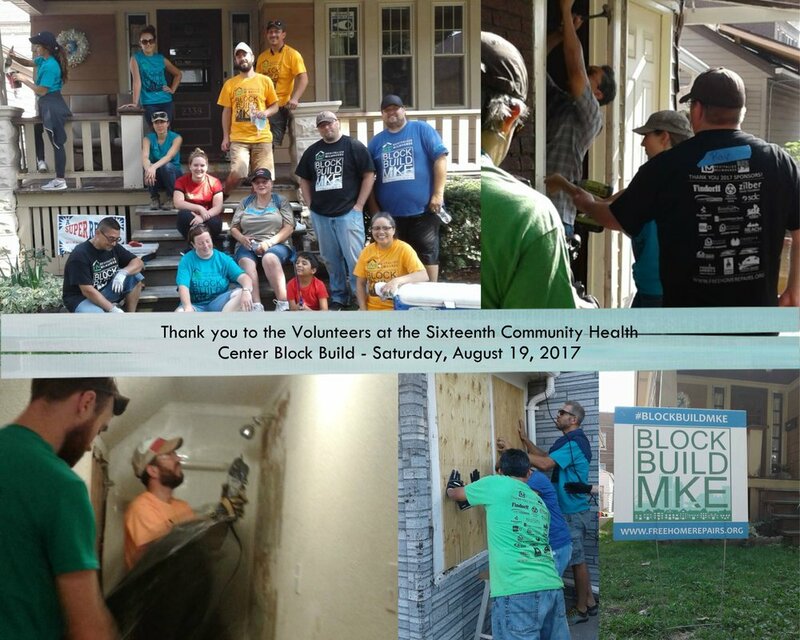 On Saturday, August 19, 2017, during the Sixteenth Street Community Health Center Block Build (SSCHC), volunteers donated time, energy and muscle to rehabilitate and revitalize several homes on 1 block. Every project we undertake is unique. Each work site comes with a different history, varying homeowner needs, and its own scope of work. Once deployed, we were able to provide everything from yard cleanup and painting to skilled plumbing, windows, electrical systems and flooring repairs. Engage your teams in turnkey volunteer events like this that leave a direct and lasting impact on those who aren't as fortunate. This exciting event brought free home repairs to a select group of homes in one weekend! Serving existing homeowners and adding to the awesomeness in their lives is not simply what we do from 9 to 5, but it is what we enjoy doing. As long as we stick together and receive support from people like you, we will continue serving the homeowners who need our help the most.